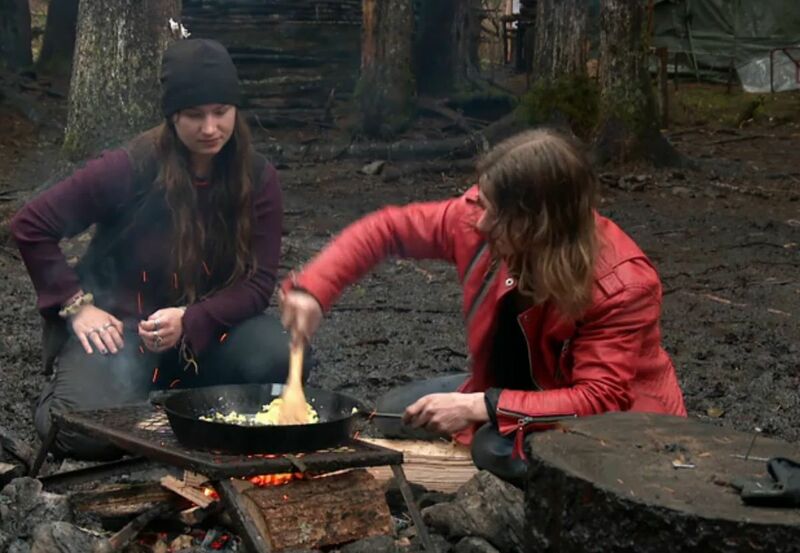 It's been a slow week for the Alaska reality TV world, but something magical happened on "Alaskan Bush People," so I will devote this column to a straight-up recap. First, the magical thing. 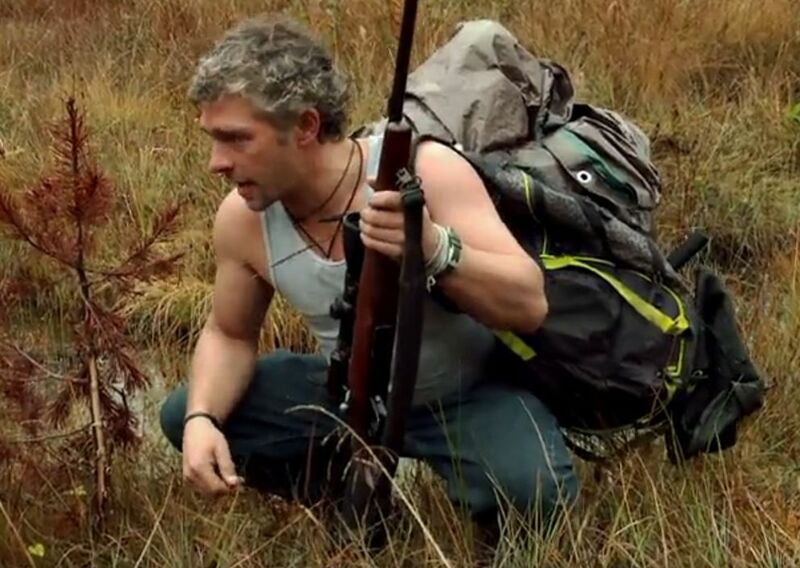 For perhaps the first time ever on the show, there was actually a relational shot with a bear. What is a relational shot? You can see the cast of the show and you can see a bear in the same camera shot. Typically, bear danger is depicted by a close-up shot of a bear followed by a close-up shot of the cast member. So you never really know how close the bear was or if anyone was in actual danger. This bear appeared to be stalking the cow the family had barged over in the previous episode, and was legit close. As Bam astutely observes about their new bear problem: "I doubt it has nothing to do with the cow smell or it moving constantly." Gabe and Bam chase the bear away from their cow pen and decide they must build a barn in the next 24 hours or they'll have to spend every night awake trying to protect their cow from bears. This, of course, causes tension between the brothers, as they have different opinions on how to construct a barn. Specifically, one believes in measuring and the other doesn't. It's unclear who wins, based on the finished product. Meanwhile, everyone's favorite character, human-brother-Bear, is painting his treehouse red with berries and a paint roller made out of moss. This is because he is "obsessed" with the color red, which is evident by the red Michael Jackson "Thriller"-esque leather jacket he is wearing. He also makes "extreme scrambled eggs," which are apparently just regular scrambled eggs with pine needles and egg shells made hastily over a fire. Finally, he plays a game of "kick the bucket" with his sister Rain. She has absolutely no shot of beating him because he is a crazy person and sprints around like a fool. He also claims that "he does not get tired." Next, there was a check-in with Matt (eldest son who just returned from rehab) who was on a solo vision quest/deer hunt. He was successful and spends two days dragging the dead deer in a tarp behind him, freaking out about bears following him. I forgot to mention that while he's dragging this deer in a tarp, he is wearing the least-logical clothing for this kind of activity: jeans, what appear to be cowboy boots and an ankle-length wool poncho … in the rain … carrying a dead animal … for multiple days. It never ceases to amaze me how this family that was "born and raised in the wild" cannot figure out layering or raincoats. Finally, Noah (brother in a long trench coat practicing tai chi alone) answers his door with a bow and arrow. It's just his mom asking him to build her a butter churn. He does, and Ami and Billy (parents) make butter with their cow's milk while talking about how much they love each other and how they never have alone time. And that, dear readers, is what you missed while you were doing things other than watching "Alaskan Bush People." You are welcome.